What new capability would you like your organization to have by next year? Read this blog post to learn about new ArcGIS courses released in 2018 that can help your organization get the most out of your GIS. 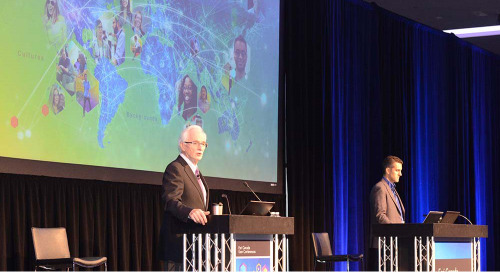 In my blog post last month, I provided an overview of ArcGIS foundation courses and emphasized the importance of mastering strong foundation skills. I reviewed our new ArcGIS Pro courses and highlighted their differences and equivalences with our ArcMap courses. For those ready to jump ahead and advance their GIS to the next level, we released several new courses in 2018 that cover key new GIS trends and recent platform component additions that organizations can leverage. To help you choose a course, there’s only one question you need to answer: which of the following capabilities would you like your organization to have by next year? The new Web GIS architecture delivers focused application to more users. If you haven’t deployed Portal for ArcGIS with your ArcGIS Enterprise to take advantage of field apps (Collector, Survey123, etc. ), the app templates or Web AppBuilder, you should consider doing it in 2019. You could expand the use of GIS to non-GIS users in your organization to update data in the field or use a dashboard for coordinators to keep up with operations. If you want to learn more about the security of Portal on your infrastructure and about collaboration between internal departments or organizations, watch this recorded webinar. You can also register for our new ArcGIS Enterprise: Configuring a Base Deploymentcourse, which helps System Administrators configure Portal, learn best practices on Portal securities, make connections with data and manage user permissions. Location analytics is powerful. My colleague, Paul Voegtle, tells us more about it in this blog post. 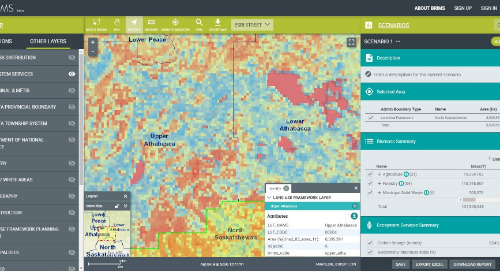 To make analytics more accessible, in 2017, Esri released Insights for ArcGIS, a premium ArcGIS Enterprise app. Later that year, the ArcGIS Online version was released, offering Insights as a premium app to any ArcGIS user. Using drag and drop to try out scenarios and get results in seconds, this new component of the platform allows for easy access to in-depth analysis that many organizations rarely took the time to explore before. 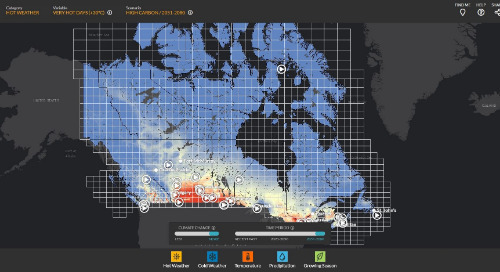 Insights for ArcGIS integrates infographics and maps to show analysis results. 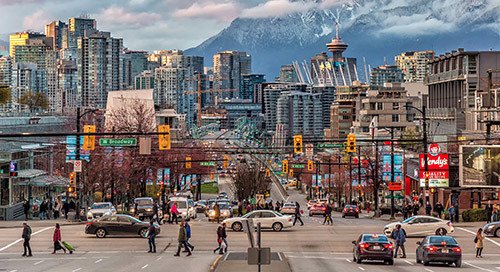 For an overview of what Insights can do, sign up for our upcoming webinar on November 29: Discover the Power of Analytics with Insights for ArcGIS. 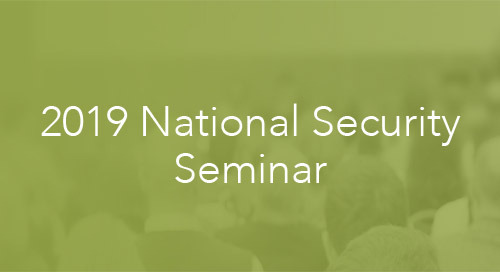 If you cannot attend, we will send you the recording soon after, but you will need to sign up to get the notification. 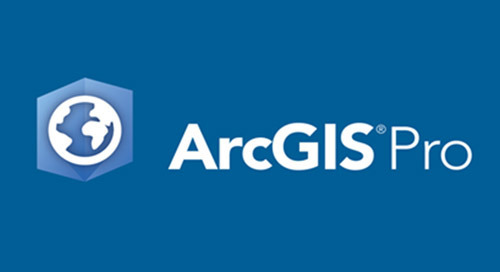 The course Getting Started with Insights for ArcGIS will accelerate your learning. 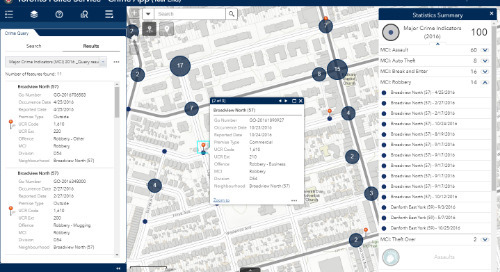 The City of Brampton Ontario Open Data site provides new ways for exploring data that goes beyond the downloading options. Open data does not only mean putting your data on the web for anyone to download. 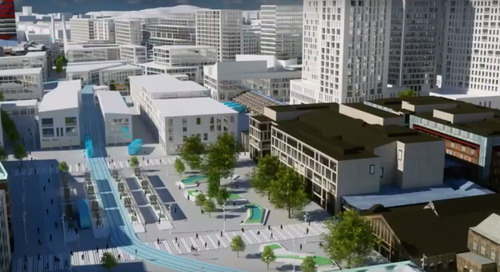 An open data strategy can enable communities to communicate better, make better decisions and uncover opportunities to grow or improve the life of its residents. It’s important to collaborate to make your open data strategy successful. To learn more about how to make a 5-star open data strategy, read my colleague Karen Stewart’s blog post. Please note that the name for the open data course mentioned in Karen’s post has changed to Open Data for Community Engagement, but the content remains the same. We also have a recorded webinar to help you understand the benefits of public engagement. I am sure you have Excel users in your organization who could benefit a great deal from visualizing location data (anything with an address, postal code, dissemination zones and x,y coordinates). What if they could make simple maps on their own to add to reports or include in a PowerPoint presentation? 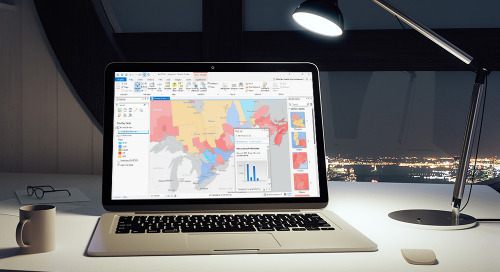 The ArcGIS Maps for Office add-on for Excel is easy to use and offers smart mapping capabilities, making symbology suggestions to users to best display their data, including heat maps, clustering and more. 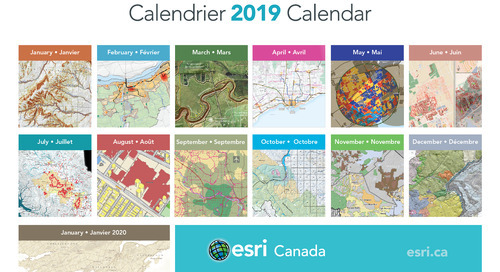 Directly from the Excel interface, users can add data from Esri’s demographic data library and use some simple analysis tools with only a mouse click or two. There’s no need to become a full-on GIS user to figure it out. Think of all the basic mapping requests this would take off your plate, allowing you to focus on new implementations that would benefit your whole organization. Read my blog post on this subject and let your Excel users know about this new course: Create Informative Maps with Excel Spreadsheets. In another blog post I wrote last year, I refer to the new Task framework in ArcGIS Pro as a recipe. This new concept has yet to be used in many organizations as they complete their migration to Pro, but I see a tremendous potential in this framework. 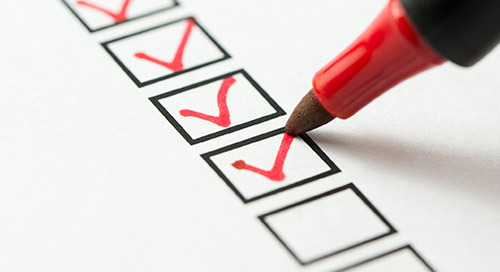 Tasks can help you design quick, step-by-step instructions on what layer to use, what geoprocessing tool to perform and when to do it. You can add models and Python scripts to it and offer a guided workflow for new users, employees who are less savvy with technology and temporary workers. You can even streamline all users’ processes, limiting errors and gaining time on project delivery. It’s definitely worth exploring. 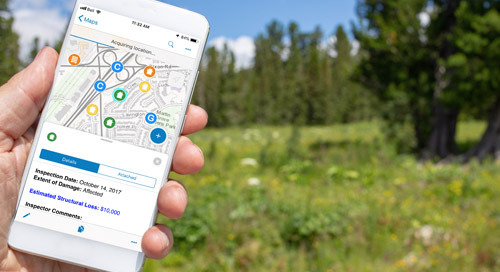 The Optimizing GIS Workflows with Tasks in ArcGIS Pro course covers how to create full workflows, what can be included in it and how to deploy and share tasks with other users. 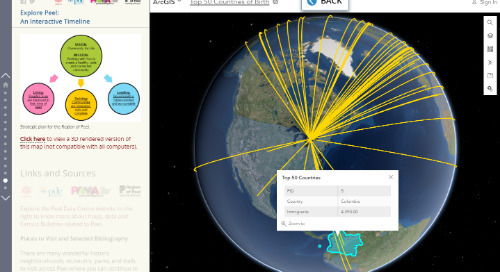 If you have migrated from ArcMap to ArcGIS Pro, you are all set. Example of creation of a task in ArcGIS Pro. 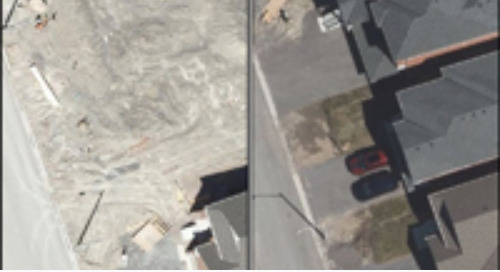 Having these capabilities can help your organization benefit more from your GIS in 2019. I challenge you to pick one capability and explore what it would entail for your organization to implement it within a year. Share your top pick with us or tell us what other capability you’d like help with to move your GIS to the next level by leaving a comment below. 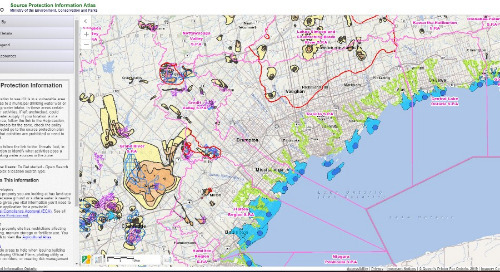 Find out how Region of Peel used Esri Story Maps to deliver a rich learning experience about its history.